Cindy Caudy is a fitness professional, personal trainer and nutritionist, Certified Strength and Conditioning Specialist, NPC bodybuilding competition promoter and judge, national level figure competitor, Physical Therapist, founder of Champion Charms jewelry and clothing, and co-owner of Next Level Training with her husband, Chris Caudy. 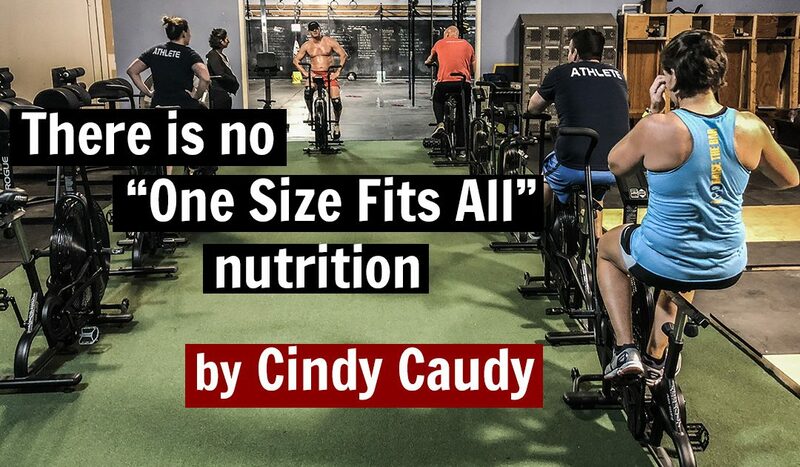 Cindy is has a solid reputation for helping people combine nutrition and fitness to help them attain their goals. You can find her at CindyCaudy.com or reach out to her at cindycaudy@att.net. I found out some great news yesterday. I saw my GI doctor for a follow up after my colonoscopy a few weeks ago, and he told me that my colon looked perfectly clean, no sign of disease whatsoever! I am thrilled! Granted I am on Remicade, which is a TNF blocker, to treat my Crohn’s disease, I still attribute my clean bill of health to my super strict diet and supplementation regimen. I follow this nutrition protocol even when we go out to eat, when we travel, even on vacation…I am 100% faithful to it because I absolutely do not want to flare again and end up in the hospital. I say all of this to give the example that just because I am this strict with my diet for disease purposes, that absolutely does not mean that everyone has to be this strict. Someone made the comment on my Facebook post yesterday exclaiming my good news that “Nutrition is very individual.” Yes, I agree 100%. There is no “one size fits all” nutrition. What I follow for my nutrition plan is not necessarily what you should follow for your nutrition plan. The biggest dieting mistake that anyone can make is following a cookie-cutter protocol as I like to call it…they are doomed to fail. Everybody is different…different backgrounds, different genetic profiles, different physiological and psychological sensitivities, different preferences, and different goals. It’s okay to start with any diet, nutrition protocol, or eating philosophy, as a baseline, but you must make adjustments based on your individual response to that program. For example, ask yourself if you are effectively meeting your goals of stripping off fat or building muscle? Are you feeling overly hungry, having cravings, feeling fatigued, over-trained, irritable, etc.? Make adjustments based on your responses to these questions in order to see the best results from your nutrition program. I never give any two clients the same nutrition plan. And I will never give anyone a nutrition plan like mine. Everyone is unique so my clients get their own unique nutrition plan with calories and macros that are suited to their own body measurements and goals. And we constantly assess all those questions listed above. We make progress, we sometimes hit bumps in the road, we adjust and learn from it, and we continue to grow together as we figure out what works for them. It’s a learning process for everyone.